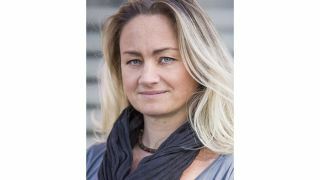 Melinda Von Horvath, Vice President of Sales & Marketing, EMEA, Peerless-AV and Board Member of ISE ISE is the largest audiovisual event in the world, and this year more than 75,000 visitors are expected. The energy and excitement around the show is hard to quantify. We asked Melinda Von Horvath, an ISE Board Member and the VP of Sales and Marketing, EMEA, at Peerless-AV, what attendees should expect in Amsterdam.She shares her wisdom on industry trends and why ISE is experiencing such remarkable growth. ISE has captured the imagination of vendors, installers, resellers, and end users globally. Manufacturers now launch products at ISE as this establishes the roadmap for the entire year, and allows them to present their innovations to the biggest proAV audience in the world. Amsterdam and the RAI have proved to be excellent locations, with good transport links and a wealth of culture to experience. Peerless-AV has attended ISE for over 10 years now and has seen it grow year on year to become the number one show in the AV calendar, not only in Europe but the world, where the entire industry comes together to showcase innovation, network, and knowledge share. This year has a particularly impressive mix of associated events that we’ll be attending, including TIDE and DSS. We’ve also grown with the show and in 2017 we expanded to a bigger two-tier stand to accommodate more products and space for meeting customers. ● KIPICT555 Fully-Integrated Interactive Kiosk: The KIPICT555 All-in-One Kiosk incorporates a 55-inch commercial-grade LCD display with six simultaneous points of IR touch interaction. Powered by BrightSign, users can design and publish interactive or non-interactive content for 24/7 audience engagement. They can also update messaging and interact with the kiosk remotely via Ethernet, Wi-Fi or the BrightSign App. Featuring an elegant design with slim frames and a small footprint, the kiosk comes fully-assembled for quick and easy installation in hotels, lobbies, restaurants, airports, stadiums, retail stores, museums, and other indoor public spaces. asy to install and maintain. A KIPC3555 55-inch Indoor Kiosk will be shown for the first time on the Peerless-AV stand at ISE. ● PJR250 Large Venue Projector Mount: Engineered to speed up and simplify the installation and alignment of heavy, large venue projectors, the new PJR250 has a robust, low-profile, pre-assembled design and supports a maximum weight capacity of 113.4kg. The mount can be ceiling- or flush-mounted, is UL-listed to ensure a safe and confident install and, for a second level of assurance, a safety cable is included. ● DS-VW775-QR Supreme Full-Service Video Wall Mount with Quick Release: With the addition of tool-less lateral micro-adjustment, the DS-VW775-QR offers 38mm (1.5-inch) of fine tune adjustment on each of the X, Y and Z axes. Serviceability is easier than ever before with the gentle force press to release mechanism, providing quick and convenient access to a recessed display. Reusable spacers can be used for both portrait and landscape applications. weight capacity, and safety are all key selling points. We look forward to showing all the above products, and more, with some interesting conversations, new relationships forged, and quality leads generated. AV Technology: Any advice for first-time ISE attendees? Globally, ISE Amsterdam is the biggest AV show to attend; it has grown so much since my first one in Brussels. There is so much to see so plan your time well and remember comfortable shoes!